Ford Motor Company will recall more than 100 recently-built Explorer vehicles found with fuel leaks. 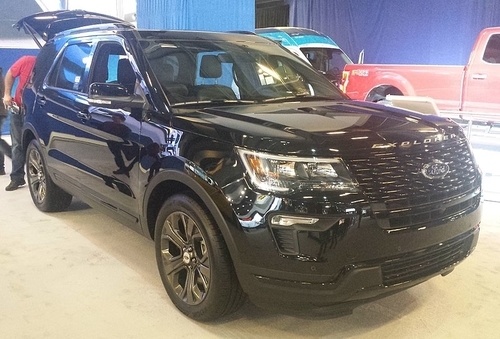 The Dearborn, Michigan-based manufacturer notified the National Highway Traffic Safety Administration (NHTSA) on Nov. 15, 2018 they will recall 144 2018 Ford Explorer vehicles built between July 29 and July 31, 2018. If you are an owner of a lemon Ford, contact Allen Stewart’s team of experienced lemon law attorneys today. The affected vehicles are equipped with 2.3L or 3.5L GTDI engines. An assembly error created leaks in their fuel pressure sensors, creating potential fire risks if that fuel reaches an ignition source. Ford’s recall chronology states workers at the company’s Chicago Assembly Plant found one Explorer vehicle with a 2.3L engine leaking fuel. Plant officials issued a stop ship order on Aug. 1, 2018 to contain all affected vehicles pending inspection. Ford’s Critical Concern Review Group reviewed the issue, and Ford began inspecting vehicles built during July 2018 to determine the affected vehicle range. Engineers also began examining parts and manufacturing processes to determine the defect’s cause. The company found four vehicles out of 9,000 held that didn’t leak fuel, but contained improperly assembled fuel pressure sensors. Engineers determined oversized screw threads in the sensor let fuel leak out from the fuel tank. Ford’s chronology stated that sensor supplier Sensata shipped incorrectly threaded sensors following a production change. Ford’s Field Review Committee reviewed all findings and decided to issue a recall on Nov. 5, 2018. Ford will notify owners and dealers will replace the fuel line assembly for free. The recall is expected to begin December 3, 2018. Owners may contact Ford customer service at 1-866-436-7332. Ford’s number for this recall is 18S35. Ford owners can also visit the NHTSA’s website and enter their VIN to see if their vehicle is included in any recalls.